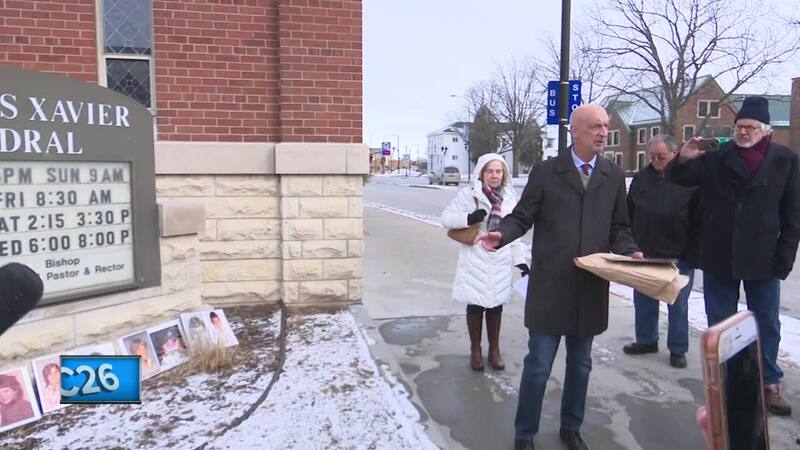 GREEN BAY, Wis. — At a sidewalk news conference Friday, Wisconsin leaders of SNAP, the Survivors Network of those Abused by Priests, spoke out following the release of names of clergy accused of abuse. The Green Bay Diocese posted the names of more than 40 clergy on its website Thursday. Bishop David Ricken apologized at Thursday's news conference to the 98 known victims of sexual abuse by the clergy in the diocese since 1906. Ricken called for any other victims to come forward. On Friday, representatives of SNAP called for Wisconsin's AG to investigate the Green Bay Diocese and how the Diocese handled the information about priests accused of abuse. Also on Friday, Green Bay Police released a letter to the community regarding sexual abuse allegations. While not naming any organization in particular, the Chief of Police says local law enforcement, "is only one appropriate entity that can be trusted to conduct a full, fair, impartial, and professional investigation." Green Bay Police is asking anyone with relevant evidence or records of criminal wrongdoing to turn over that information to local law enforcement.